[By Nick] Welcome to another Saturday Night Showdown! Well, or what should have been a showdown but now after trying Haagen-Dazs Pistachio Gelato I've decided to turn this in to a Public Service Announcement. I'm getting right into it. While the texture is an improvement from the original line, the flavor is awful. It tastes way too savory and just terrible. I can't even take more than two spoonful of this at all. Heck, from the looks of things, there's not even a bit of pistachio in the entire faux-pint. This tastes like pure pistachio paste that has been salted. I'm not sure what's worse, this flavor or the cultural shock I experienced with Adirondack Creamery's version. I highly advise that you stay away from this flavor. If it tries sneaking in to your cart, just set it on fire or something. It doesn't deserve to share a freezer when there are so many better options available. 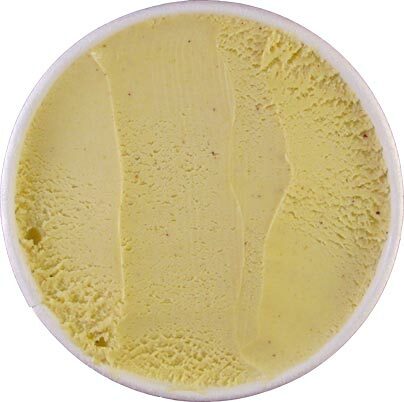 Speaking of better options, Talenti Sicilian Pistachio Gelato is executed perfectly. I get that cookie vibe that I've experienced from other brands. The texture is still spot on like always and they include a plentiful amount of pistachios into their gelato. This might be too sweet of a pistachio flavor for some since the pistachios aren't big enough to add that much of a salty component. 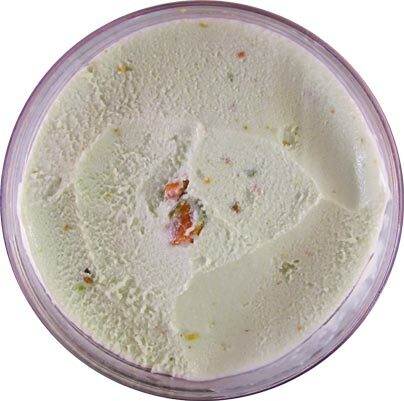 That said, this is the mass-produced pistachio gelato you should be choosing. Don't even give Haagen-Dazs the pleasure of violating your freezer and taste buds. Ben and Jerrys Pistachio Pistachio will blow you away! Danielle, I see no other way to enjoy it. Anon, I've had it and while I enjoyed the base, I wasn't a fan of the pistachios. Way too big and not incorporated enough. They were like biting into landmines of salt to me. If they were split in half, I would have liked it a lot more. Wow. I'm amazed. I like both but I think haagen Dazs nailed this one. I usually prefer A lot of pistachios mixed in, but thought haagen Dazs did such an exceptional job on this flavor that mix ins weren't needed. Very surprised by your reaction. I absolutely agree with Anon above. I much prefer this over the Talenti one. This one to me is so smooth and has the right gelato texture and level of sweetness. I must have gone through like 10 of them since I stumbled upon it (thanks to the rave reviews elsewhere). Pistachio is my favourite flavour of all times but it's so tough to find the right proportions between sweetness and saltiness. 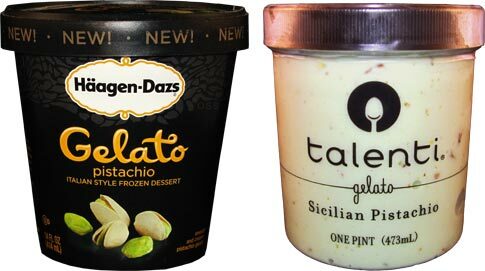 Talenti is by far my favourite mass-produced brand for pistachio, and I am looking forward to try B&Js version too. I would love to know what you think about their Caribbean Coconut, which is personally my top choice! I liked to think I've been the biggest ice cream fan on the planet but I gotta revise my thinking now :) I adore your blog, and I would love to include it in my Top Blogs List on www.discoveringtheamericas.blogspot.com.